Although there is a growing trend for couples to be happy to commit to each other by simply living together or starting a family, there are still many in the UK who choose to make a lifelong commitment to their partner by stepping down the aisle. In China, on the other hand, insurance companies are offering love policies in an attempt to boost marriage rates, as reported by the Mail online. For many people, their wedding day is the best day of their life and is often a very traditional affair. 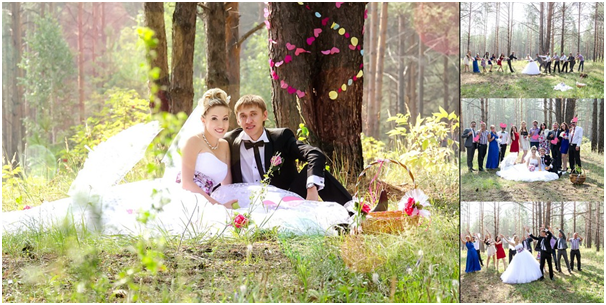 However, some couples prefer to make their day more unique, and one recent trend is toward a more natural-themed woodland wedding. Many properties sit in beautiful parklands or have woodland areas, and these can be the perfect spot for woodland, rustic weddings. 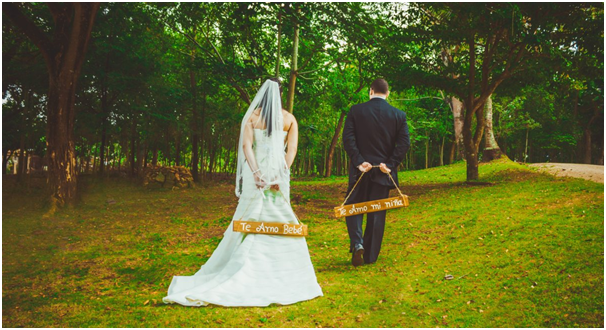 Having a ceremony amongst the trees and greenery can lend a real fairy-land, mystical feel to a wedding. For example, Wasling Park in Berkshire has a specific walled garden and woodland area set aside for those wishing to get back to nature for their big day. Cornish Tipi weddings are amongst a growing trend for venues that are purely about the woodland, getting back to nature and enjoying tying the knot in a pretty, natural environment. Somewhere more traditional but still set against a backdrop of lovely woodland and greenery would be a venue like a hotel that is set in a pretty area of the countryside with gorgeous grounds. This type of venue could be a compromise between a more traditional day and embracing a natural country atmosphere. If you were looking for a Forest of Dean wedding hotel venue, you could consider http://www.thespeechhouse.co.uk/weddings/. Many farms are now converting parts of their property into wedding venues. From barns to fields or woodlands, these can be great venues to embrace an outdoor or woodland wedding. Marquees can be a great insurance policy against the Great British weather, and many venues will offer these or some kind of covered area, such as a converted barn. In Devon, Middle Coombe farm illustrates the kind of positives this type of venue can offer, setting the stage for a wedding that is as simple or rustic as you wish.